King's County: Banagher (2), Drumcullen, Eglish, Ferbane, Frankfort (2), Kilcoleman, Kinnety, Lemanagan (2), Letter, Lusmagh, Seirkyrans, Parsonstown (3), Shannon Bridge (2), Shannon Harbour (2), Tissarin. Co. Tipperary: Aglishcloghane, Ballingarry, Dorha (2), Lockeen, Lorha (2), Uskeane. The Board also included 9 ex-officio Guardians, making a total of 38. The Guardians met each week on Saturday. The population falling within the Union at the 1831 census had been 71,138 with divisions ranging in size from Letter (population 1,000) to Parsonstown itself (8,744). 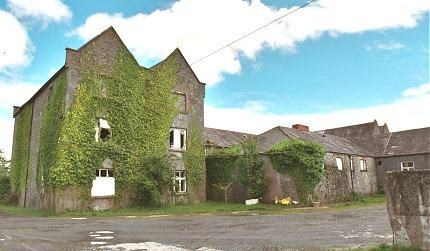 The new Parsonstown Union workhouse was erected on a seven-acre site half a mile to the east of Parsonstown. 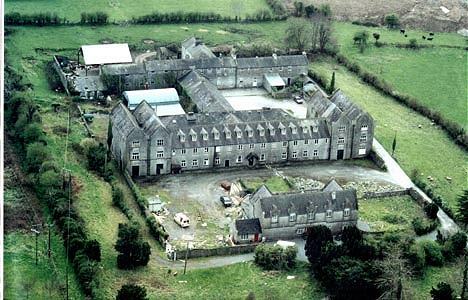 Designed by the Poor Law Commissioners' architect George Wilkinson, the building was based on one of his standard plans to accommodate 800 inmates. Its construction cost £6,900 plus £1,384 for fittings etc. The workhouse was declared fit for the reception of paupers on 14th March 1842, and received its first admissions on 2nd April. The workhouse location and layout are shown on the 1912 map below. The buildings followed Wilkinson's typical layout. 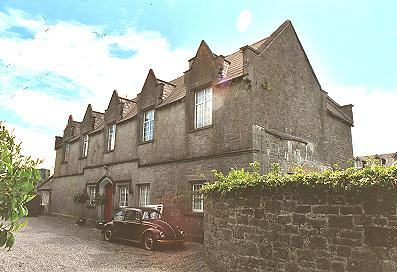 An entrance and administrative block at the north-east of the site contained a porter's room and waiting room at the centre with the Guardians' board room on the first floor above. During the famine in the mid-1840s, fever patients were sent to the town fever hospital. Plans were also prepared for the erection of sheds in which to accommodate fever patients. 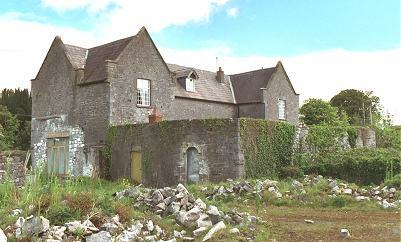 In 1852, the southern part of the Parsonstown Union went to become part of the new Borrisokane Union. At the 1901 census, the population of the Union was 25,332. 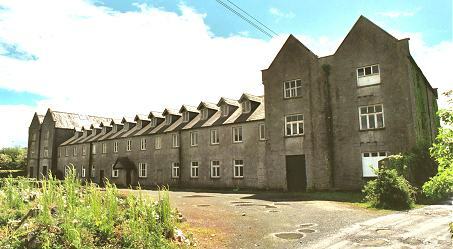 Most of the workhouse buildings survive and are currently used as residential accommodation. Thanks to Paul Barber for use of the photo and to Margaret Hogan for providing it.